DiVine is a performer at the Animal Kingdom that is tough to find… especially because she is so good at hiding. 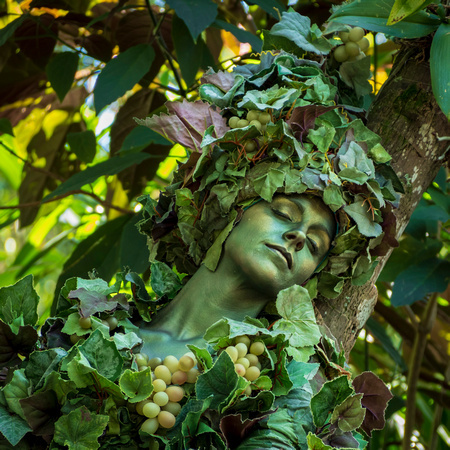 DiVine is a leafy character that usually blends in perfectly with the vegetation. When you do find her it is a rare treat to watch her move and interact with guests. I was lucky enough to find DiVine sleeping near the entrance to the park.